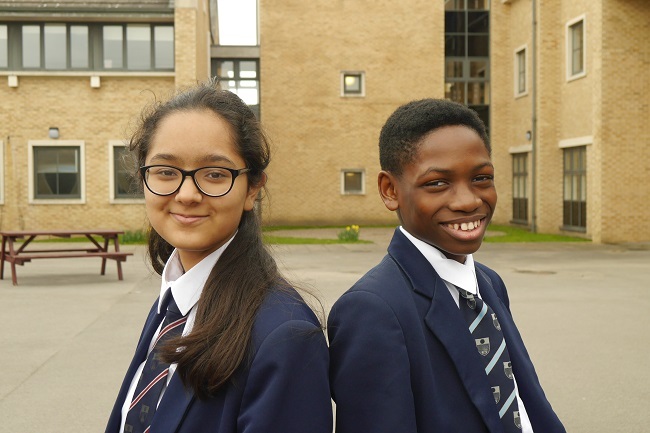 Talented mathematicians at The Grammar School at Leeds (GSAL) have had a busy term, taking part in additional maths activities to test their knowledge and ability to think beyond the school curriculum. Our GSAL team came second at the Y10 Maths Feast 2019 Leeds competition, while at the Pop Maths Quiz at the University of Leeds our Y7 and Y8 teams came second and fourth respectively. Meanwhile, students in Y9, Y10 and Y11 achieved great success in the UKMT Intermediate Maths Challenge, with 19 scoring highly enough to progress to the follow on Kangaroo and Olympiad rounds. Find out more by searching for #GSALmaths on our Facebook page. For six weeks, I attended sessions introducing me to new concepts of maths at the University of Leeds. The masterclasses opened my mind to new maths topics and gave me a chance to meet new people who share an interest in the subject. The topics ranged from knots, statistics, 3D Nets, the power of 2, chaos and cryptography. For example, we learnt about an area of maths related to knots and were taught how to untangle a knot using a picture of it using just three rules: untwist, unpoke and slide. These rules allowed us to prove if two knots were the same. We were also taught a way to describe knots so that if we were given a code for a knot we would be able to draw it. In another example, we used statistics to try and understand data from an unusual incident and learnt to summarise data using cross-tabulation. In the end we realised that we were dealing with figures from the Titanic as most of the women and children survived (in an evacuation plan women and children are sent to safety first). Out of all the topics, my favourite topic was “be a paper mathematician”, where we used our knowledge of 3D nets to create pull up 3D shapes. As well as teach you new topics, the masterclasses help you to learn skills that may prove useful later in life and open your mind to many maths related jobs eg code analyst or a statistician. Finally, it’s an opportunity to learn something new every week, which is what made these sessions so interesting.